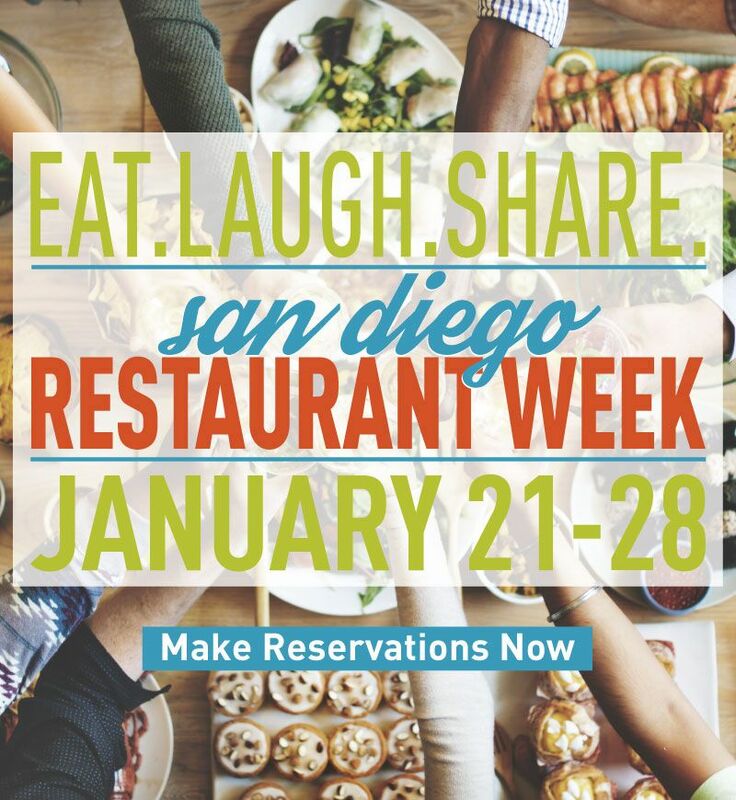 Created to unite the curious, the hungry, and the talented, the 14th annual San Diego Restaurant Week returns this January, offering 8 days of discounted dining deals at nearly 200 restaurants around San Diego County! Returning Sunday, January 21 through Sunday, January 28, San Diego Restaurant Week is ready to ring in the new year and take taste buds on an edible extravaganza like never before. Forget your New Years Resolutions for these 8 days only, when restaurants throughout San Diego County will offer exclusive prix-fixe menu options to introduce diners to some of the best California-based cuisine available. Varying by restaurant, options include three-course prix-fixe dinner menus for $20, $30, $40 or $50 per person and/or two-course prix-fixe lunch menus for $10, $15 or $20 per person. Whether you’re looking to try a new restaurant or you’re just craving some good grub, this epicurean-favorited week is the perfect time to take a culinary tour throughout the diverse and thriving food culture of San Diego. And with over 180 participating restaurants spanning across the county from the South Bay to East County and to the borders of Oceanside and Fallbrook to the north, you’re sure to find all your favorite flavors. Dine with over 150,000 diners and treat yourself to an experience that extends far beyond the dinner plate as delicious food sets the scene to eat, laugh, and share. Tickets are not necessary for this delectable week of discounted dining, but reservations are highly recommended. Visit SanDiegoRestaurantWeek.com for more information, including a list of participating restaurants, menus, and to make reservations in advance.